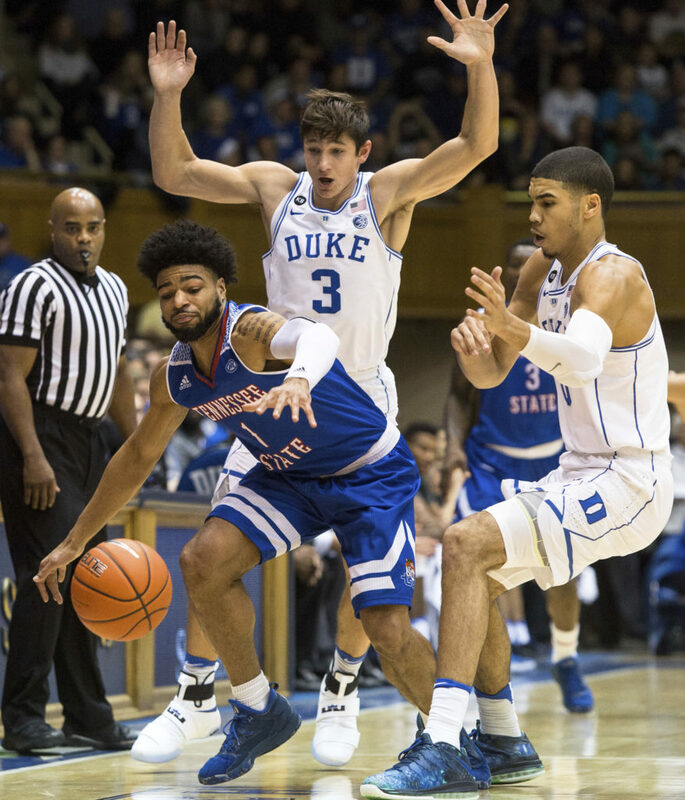 Tennessee State's Delano Spencer (1) loses the ball as Duke's Grayson Allen (3) and Duke's Jayson Tatum (0) defend during the first half of an NCAA college basketball game in Durham, N.C., Monday, Dec. 19, 2016. At long last, the start of the 2017-18 college basketball season has finally arrived. The Kansas men’s basketball team played seven exhibition games, counting the four games in Italy in August. 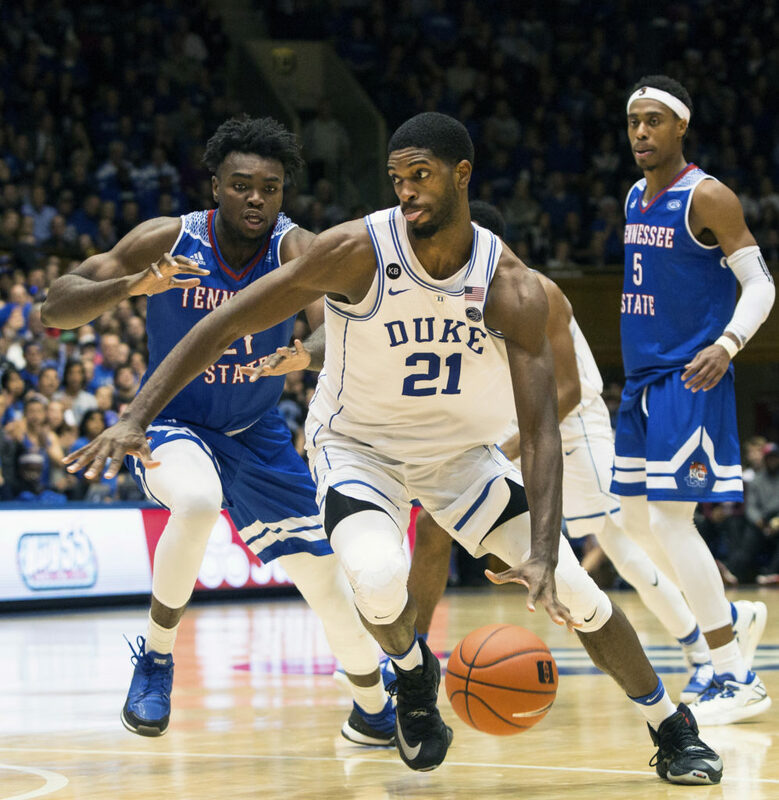 Unlike the Jayhawks, Tennessee State didn’t play in any actual preseason games leading into Friday’s season opener at 7 p.m. (TV: ESPNU) inside of Allen Fieldhouse. The Tigers only held a secret scrimmage against Arkansas-Little Rock last month in Memphis. Tennessee State was picked to finish seventh in the Ohio Valley Conference coaches poll and fourth in the media poll. The Tigers had a 17-13 record last season, suffering an overtime loss to North Carolina State and a 10-point loss to Duke in their non-conference schedule. But Tennessee State will have to replace more than half of its scoring and rebounding from last year. Fun fact: Since moving to the Division I level in 1977, the Tigers have a 1-34 record against teams ranked in the AP’s Top 25. Their only victory was against Murray State in 2012. Series history: Kansas leads 1-0. Jayhawks won, 89-54, in the only meeting between the schools on Nov. 21, 2006. Sherron Collins led with 19 points. No. 14 — G Darreon Reddick | 6-4, 195, sr.
Duke's Grayson Allen, left, handles the ball as Tennessee State's Darreon Reddick (14) defends during the second half of an NCAA college basketball game in Durham, N.C., Monday, Dec. 19, 2016. Tennessee State’s top returning scorer, Reddick averaged 9.0 points, 2.2 rebounds and 1.2 assists per game last season. He shot 34.6 percent from behind the 3-point line. Reddick, from Belleville, Ill., was coach Dana Ford’s first recruit at Tennessee State and is 326 points from joining the 1,000-point club. He scored a team-best 14 points in a loss to Duke last year. No. 4 — F/C Ken’Darrius Hamilton | 6-9, 245, sr.
After playing at Meridan Community College, Hamilton was one of Tennessee State’s top players off of the bench at the end of last season. Hamilton averaged 7.1 points, 4.0 rebounds and 0.7 blocks per game. Not afraid to stretch the floor, Hamilton shot 34.3 percent on 67 attempts from behind the 3-point arc. Near the end of the season, he recorded a double-double in two straight games. No. 21 — F Christian Mekowulu | 6-9, 245, r-jr.
Duke's Amile Jefferson (21) drives against the defense of Tennessee State's Christian Mekowulu, left, and Tahjere McCall (5) during the second half of an NCAA college basketball game in Durham, N.C., Monday, Dec. 19, 2016. Mekowulu (pronounced mek-oh-WUU-luu), from Nigeria, features a 7-foot-3 wingspan. He averaged 4.6 points and 3.7 rebounds last season, starting in 16 of the team’s final 17 games. He missed the entire 2015-16 season because of a knee injury. 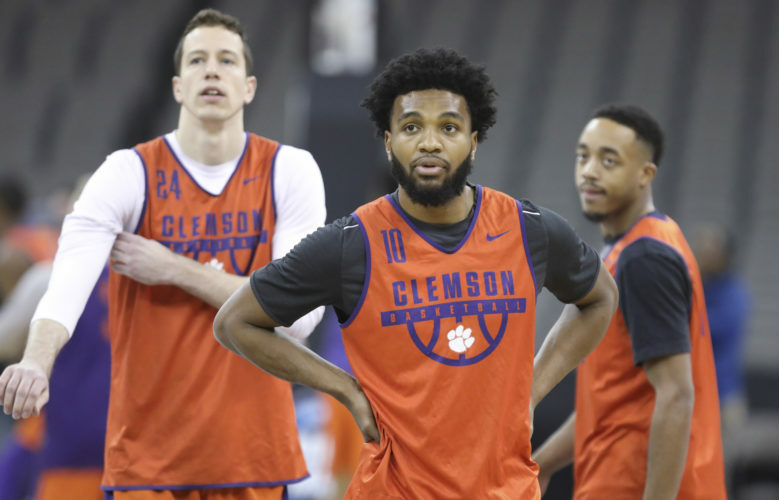 Under Ford, the Tigers have placed a major emphasis on their defense. They’ve led the OVC in field goal percentage defense in the last two seasons and held opponents to a conference-low 67.7 points per game in 2016-17. In KenPom’s adjusted defensive efficiency ratings, Tennessee State ranked 74th in the country. “The only thing that I can definitely promise is we’re going to defend with our hair on fire and we’re going to rebound like mad men,” Ford said at his introductory press conference. Tennessee State graduated its starting point guard from last season, but already had some problems with turnovers. The Tigers averaged 15.1 turnovers per game and had a 0.8 assist-to-turnover ratio throughout the year. Armani Chaney, a junior from Chicago, will move into the starting point guard role, earning a start in the final seven games last season. Tennessee State head coach Dana Ford shouts to his team during the first half of an NCAA college basketball game against Duke in Durham, N.C., Monday, Dec. 19, 2016. The 2016 OVC Coach of the Year, Ford, 33, is entering his fourth season at the head of Tennessee State’s program with a 42-50 record. 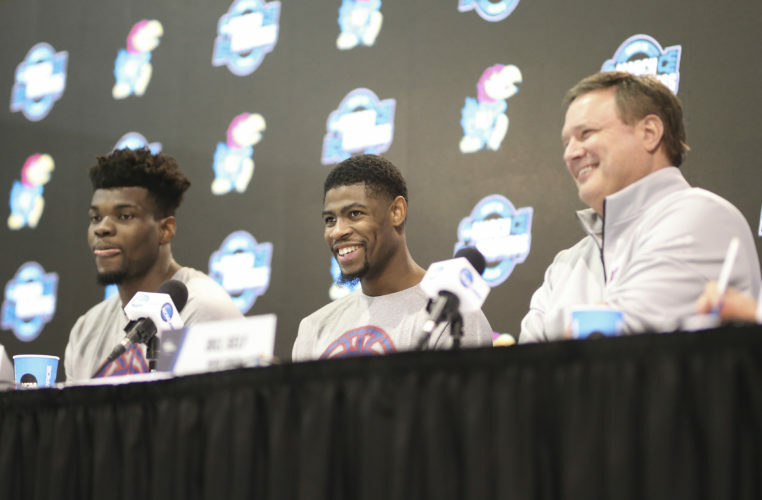 During his first three seasons, he was the youngest permanent coach in the nation. 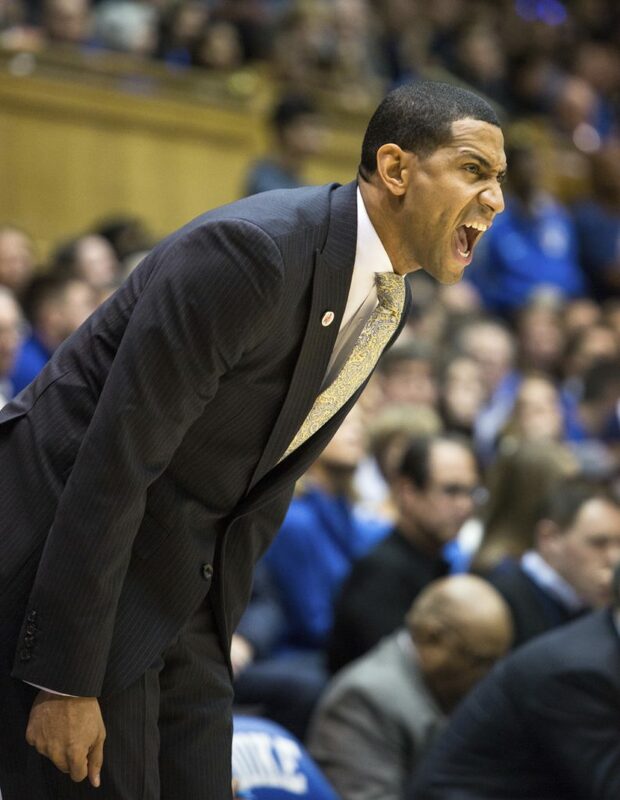 Previously, he served as an assistant at Wichita State and Illinois State, his alma mater. When he was at Wichita State, he was the lead recruiter on Fred VanVleet. Kansas by 28.5. 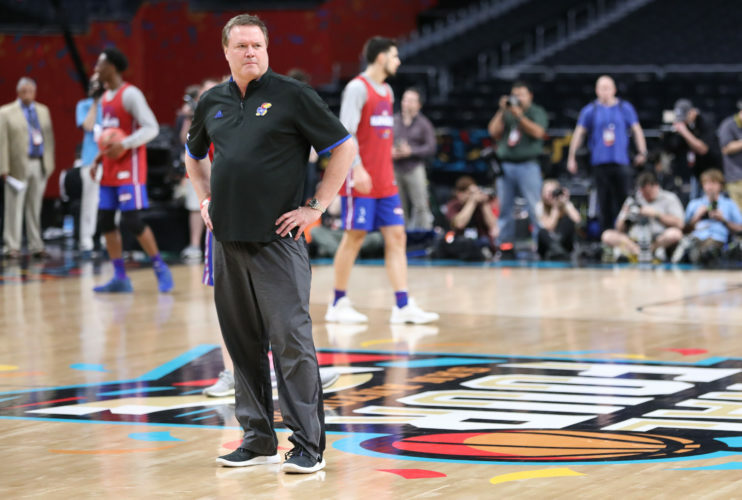 I’d expect the Jayhawks to come out roaring after an extra long preseason schedule, which included a charity game against Missouri and four games in Italy in August. My prediction: Kansas 87, Tennessee State 57. Bobby’s record vs. the spread: 0-0.